Caroline is a Consultant Paediatrician and Guardian of Safe Working in Whittington Health, and has two positions within UCL medical school. 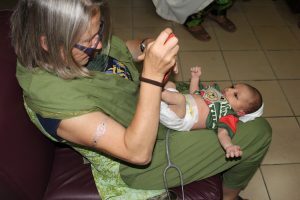 She is both the director for undergraduate education at the Whittington Campus and co-course director for the iBSc in Paediatrics and Child Health. See her speaking here on leadership. 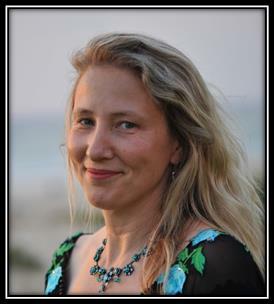 Since qualifying Caroline’s overriding passion has been the advancement of medical education. 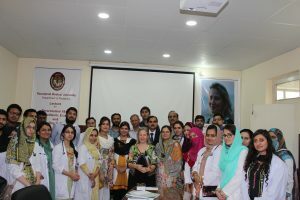 To that end she has always encouraged and supported others to undertake a raft of educational research with 33 peer-reviewed publications showcasing over 40 doctors in training. She is a senior fellow of the Higher Education Academy and a fellow of the Academy of Medical Education. She has led many innovative projects and is particularly proud of the Paediatrics and Child Health course, which is now the most popular iBSc at UCL. 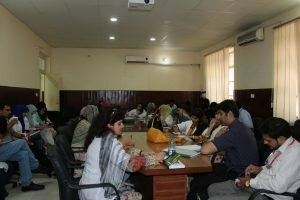 The course has now been running for 8 years and she led the process from inception, curriculum mapping, and content delivery to novel and multifarious assessments. She is particularly proud of all the publications students from the iBSc have had. She has published ten books, including seven for the public on parenting and three textbooks. The Hands on Guide to Practical Paediatrics won the BMJ paediatric textbook award in 2015 and the Patient Journeys book was highly commended in the BMJ 2017 book awards. She has been invited to lecture nationally (Cardiff, Harrogate and Nottingham) and internationally (USA, Pakistan and Bangladesh). 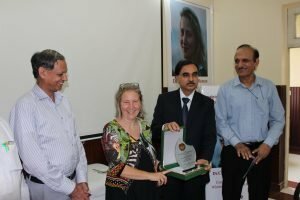 She is the convenor of a national education group affiliated to her professional body (RCPCH). She is a proud Londoner and would not really consider living anywhere else and is married to a long suffering husband with an assortment of adolescents, rescue dogs, itinerant cats and a stash of yarn for knitting. Caroline is happy to lecture on any of the themes below and will adapt it for small or large audiences whether as a lecture, small group work or as a workshop. (Many have been delivered locally, regionally, nationally and internationally). 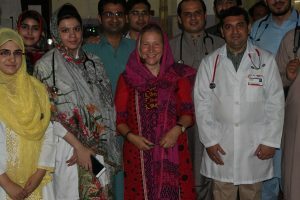 She has just returned from Pakistan. 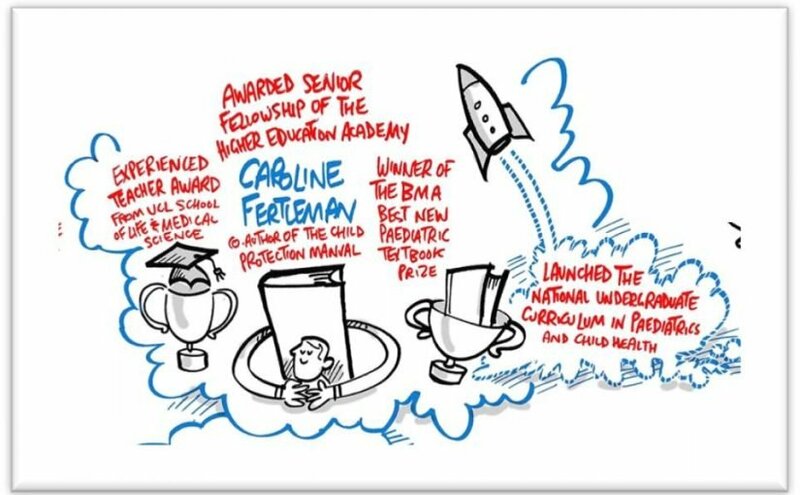 Caroline has been a sought after lecturer in paediatric topics for many years. With the publication of three paediatric textbooks she is a versatile and enthusiastic lecturer. She has been a consultant general paediatrician for 10 years with a major responsibility for safeguarding training. Child abuse – will you see it? All knotted up. A multidisciplinary introduction into safeguarding for medical students. Caroline has both delivered and developed novel systems for delivering faculty development programmes. 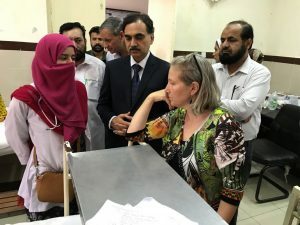 She has taught generics and tailored versions of the Teaching Improvement Project System © (including alterations to account for cultural variations) both in the UK and abroad. 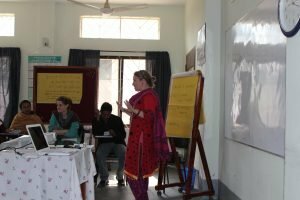 Sessions in this include Lesson planning/Objectives setting/Microteaches/Questioning/Clinical reasoning/Communicating risk to patients and families/Giving and receiving feedback/Teaching and Learning/Ethics and Law/Large groups/Using role play/Clinical bedside/Communication skills. This photo illustrates one such session being delivered in Northern Bangladesh. Talking to Adolescents. How do you do it?